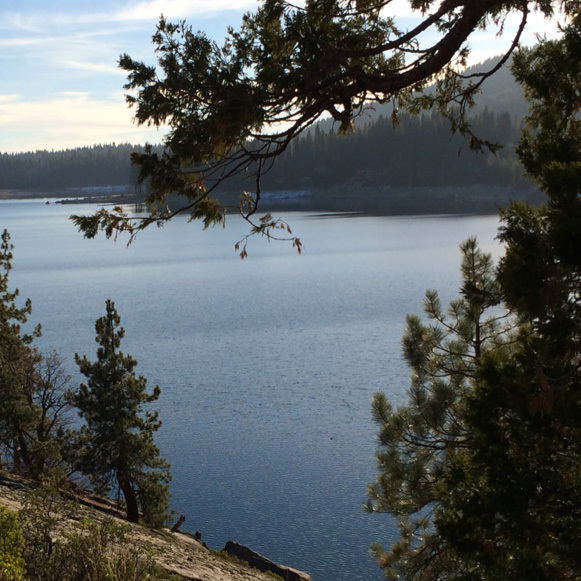 From Shaver Lake, California in the heart of the Sierra Nevada mountain range, Wayne reflects on some meaningful conversations he's had in recent weeks as well as engages listener feedback from email, blog comments and calls on the comment line. In doing so he shares from his visit last week to the set where The Shack was being filmed and stumbles into topics such as to whether we need to fear the second coming of Jesus, how does the fear of the Lord fit now that we know his love, and continues the dialog on accountability and how it affects the reality of community. Wayne, I thought your response to Edwin’s comments about accountability were bang on. I think of what people call accountability and so often it is fear, guilt and most notably shame driven falling in some thinly veiled form of quid pro quo. You’re good, you get blessed, you’re not, you get punished (for your good of course…yuk) When personal engagement in the course of journeying together and helping each other occurs inside of deepening friendships, help becomes something that is offered and given, not demanded and imposed. The main reason is that interaction inside of friendship is safe, safe because we are comfortable that we will be accepted and loved regardless of our actions and behaviour at any given point or in any given area. In relation to our desire to see sin cease, it is because of the effects that sin produces, namely destructiveness of varying nature. However, our wants to see sin end come from the holy spirit as he gives us the wants of our hearts as we delight in God He doesn’t accuse us of our sin – the usual reference to the conviction of the holy spirit (who does the scripture say is the accuser of the brethren) – he convinces us, to the point of where we hold a conviction strong enough to be trusted, of the righteousness we possess in the finished work of Jesus . Delight is about loving, appreciating, seeing him and engaging in communicating with him, talking to (everyone wants someone to listen and who better than the joy and privilege of God listening) and hearing from him. How freeing it is to trust the one I know! Please don’t read what I’m not saying, but I believe “God chose to make himself accountable to us” and by doing so, took the pressure off of us. Accountability is about counting, counting to see if something adds up and being able to count on someone. Jesus always measures up (when we “count what he did”. He fully settled any accounting in regard to sin. And now we can count on him as he frees us up to love him and others. When the wants come from God, we find ourselves compelled by those wants, exercising them in his power (I so often think I can’t respond to my wants because of past failures). My focus remains on loving and relational knowing of him, and often others are the first to notify my of transformation they observe. Over time, I come to see it as well because of the freedom I am experiencing and am so thankful that any agenda to become who he created me to be is in his hands. He is just so safe to trust and know….. In this episode you mentioned family vacation spots in the Sierras. Could you perhaps mention a few areas that are your favorites. The Navy may relocate us to southern California next year and I’m looking for areas to take our extended family on vacations. Sorry, I don’t know the best way to contact you with this question so I will tag it onto this comment site. Nancy, we usually hang out at Shaver Lake (above Fresno) for some part of the summer. We’ve been camping and vacationing in the area since my youth. There are lots of others all long the Sierras, including Kings Canyon and Yosemite National Parks. It’s a breath taking range of mountains with lots of activities and recreation. I enjoyed this podcast and felt closer to Father than I have in a long time as I listened to your chat. Not sure what that’s about exactly. My detox has taken much longer than I ever imagined (left the institutional deal in 2008-ish), yet I’m trying not to judge that as anything other than what I need. I identify with the idea that God connects us to his family when our earthly family isn’t capable of reflecting his love. Certain parts of my family remain firmly performance-driven which continues to be a source of pain. And no matter how hard I have tried, I can’t make them see the world through my eyes or properly convey how destructive the coercive church is. Apparently, that’s not my job. Right?! I don’t listen to every podcast but I am truly grateful that you continue to emphasize the heart of our Father, rather than the obligation of religious performance. Based on my history, it’s a little surprising to see someone avoid the trappings of coercion for so long. And I suppose that is the miracle of the new birth. That is, staying in that simple place of trust and rest. You started this podcast talking about load, ton, and stuff you had to talk about based on various conversations you have been having through your methods of communication. Then you mentioned that at a certain age you will just shut this all off. Do you really this will all shut off when you reach a certain predetermined time on this planet? These conversations are simply the nectar of God and you never have to stop talking. For, rest assured, we will never stop communicating with you. And we would all be surprised if you stopped communicating back with us. So keep drinking the nectar. Everyone, including you, is enjoying these moments. Age may change reflections and perspective, but friendships only deepen. Unless I die young, of course!